Pebeo Gedeo Resins are transparent resins that are ideal for molding, coatings, lamination, and more. Their strength and transparency render a uniquely vitreous effect that replicates the look of glass. 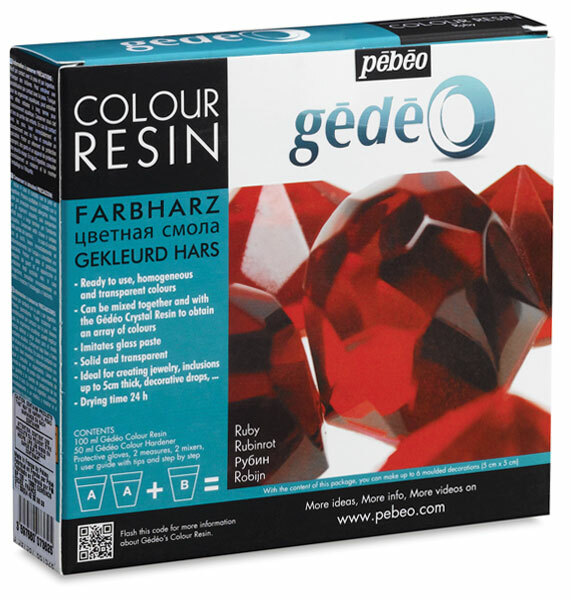 These two-part, colored, transparent resins may be mixed with each other, as well as with Gedeo Crystal Resin, to create unlimited shades and effects. They dry within 24 hours to a shiny, hard, non-yellowing finish.